This was the week that most shows returned -- including the bulk of CBS' programming. If we, as viewers, were supposed to be impressed -- I think the networks failed. 5. Sons of Anarchy: Who would have thought Opie’s death would be overshadowed by the real life antics of actor Johnny Lewis? 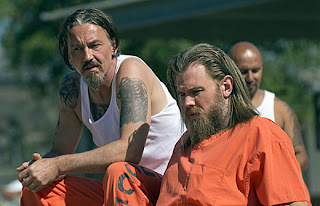 ‘Sons of Anarchy’ vacillates between “must watch” and “bad soap opera” for me. Still, this week’s episode and Opie’s sacrifice was some of the best storytelling the show has done in years. I had my doubts how prison life would play out for Jax on screen. I have to say, I’m enjoying it so far. 4. Revolution: I just want to point out that I called Rachel being alive. I knew Elizabeth Mitchell was too good of an actress to only appear in flashbacks. While her reveal at the end was great – I think my favorite moment was watching daughter Charlie trick “Nate” and leave him handcuffed to a pole. He had it coming. I also enjoyed Miles’ showdown (both of them) with the bounty hunter. His short temper with Charlie is getting a little old – but you would think someone that grew up in this new world would be a little less naïve. She needs to learn about survival -- and quick. 3. Private Practice: This show is Addison – and I won’t watch it after she leaves mid-season. That being said, I don’t like that she chose Jake. It seems out of character. Addison and Sam were built up for several seasons. For her to choose Jake when Sam offered her everything she said she wanted was a step back for the character. Still, despite all that, Addison wasn’t the surprising part of the episode. No, that would go to the revelation that Tim Daly’s Pete hadn’t jumped bail and abandoned his wife and son. No, he had a heart attack while running and fell off the path. There he was found by a dog more than a day later. While I don’t like how Pete was written off, I have to say Violet’s reaction was gut-wrenching. Here roundabout thinking – and final reveal – were some of the best acting Amy Brenneman has done in years. 2. 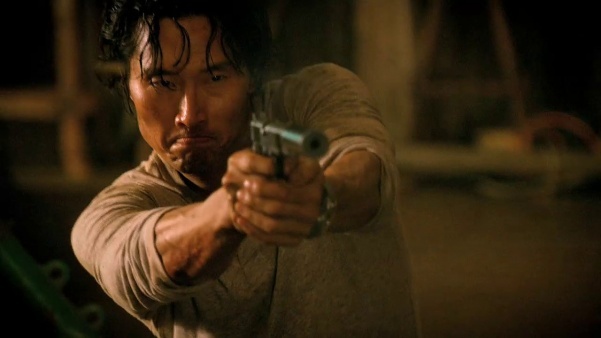 Hawaii Five-0: For a lot of people, I’m sure the best moment was Wo Fat’s escape. I just found that ridiculous, though. For others, I bet it was the confrontation between Steve’s mom and Wo-Fat. I don’t really care either way. For me, the moment that changed the show was a determined Chin stalking Delano through the parking structure. Not only did he not seem to care if he was shot, but Chin actually killed Delano in cold blood. Sure, Delano had it coming for killing his wife, but I actually want to congratulate Delano for ridding me of that character. Not only was she boring, but her and Chin’s sudden domestic bliss seemed ridiculously forced. Now we know why. 1. Grey’s Anatomy: This show hasn’t been good in years. It hasn’t been compelling in years. It had a (very) brief resurgence with the hospital shooting a couple of years ago. Then it fell right back into mediocrity. Creator Shonda Rhimes tried to recapture the shooting “magic” in the season finale last year when she had several doctors in a plane crash. Not only was the loved Lexie Grey killed off – but Mark and Arizona’s fates were left in the balance. In the season premiere, we found out early that Mark had been in a coma for 30 days and they were going to turn off life support. I know a lot of people think Arizona’s appearance in the final minutes of the episode was shocking. I, however, knew that she hadn’t died. I found it weird that they never came out and said it (even though they were trying to allude to it without alluding to it) all episode. ‘Grey’s Anatomy’ is not the show it used to be – by any stretch of the imagination. It is one gimmick after another now. 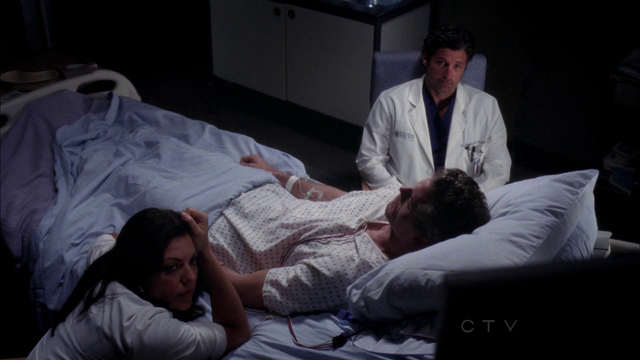 Still, when Derek and Callie watched Mark slip away, I felt a little sad. Of course, then they brought Kepner back and all I feel is disappointment. Again. 2 Broke Girls: This show isn’t everyone’s cup of tea. However, Max’s love for Caroline’s father – and her enthusiasm for being rich – were too much fun to pass up. Parenthood: While there was a lot of melodrama in the episode – I absolutely loved Zeek’s arrest. Still, the fact that no one in this family can catch a break is starting to get old. Criminal Minds: I actually didn’t like the episode. I just want to get my guess in for the season-long unsub before anyone else. I think it was that pervert that was taking pictures of young girls a couple of seasons ago. The one that was “setup” by the guy who was kidnapping teenage girls and pretending they were his stepdaughter. That episode had an ominous ending – and then they never revisited it. Last Resort: Daniel Lissing’s James King steals the opening episode when he explains to island thug Julian how things are going to be from now on. He was badass without ever pulling his gun. Now that’s a character I want to get to know more. Big Bang Theory: Howard's exploits in space were funny -- but it's Penny's bleaching of Amy's mustache that got the biggest laugh from me. Still, can someone explain the rooting value with Penny to me? The more she strings Leonard along the more I start to dislike her.